The long-time quest for a better blood test for food allergies may be closer than we thought. A letter in the Journal of Allergy and Clinical Immunology by six UK researchers headed by Alexandra Santos, MD, PhD, describes a study of the blood of children 73 of whom were diagnosed peanut allergic, 60 who were peanut-sensitized, and 41 non-allergic. 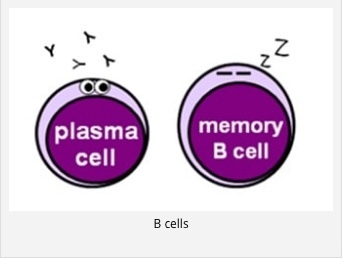 Samples were subjected both to basophil activation tests (BATs), which are known to be highly predictive of allergy, and mast cell activation tests (MATs). The MATs were shown to be comparably predictive to BATs, although not precisely. Both tests involve exposing allergenic proteins to the cells in question to see if the IgE antibodies attached to them will bind with the protein and cause them to degranulate. If it does, the patient is allergic. The problem with BAT is that since the basophils circulate in the blood, the test must be done when the sample is fresh. 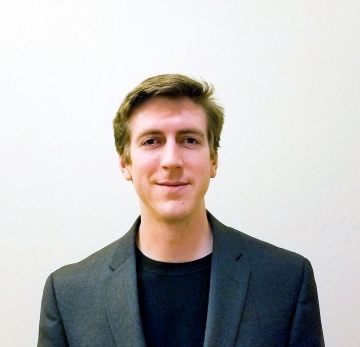 There is no way to achieve the economies of scale enjoyed by commercial testing services that perform other kinds (and less definitive) of allergy testing. For this reason BAT has been confined to research centers. The MAT has a singular advantage. 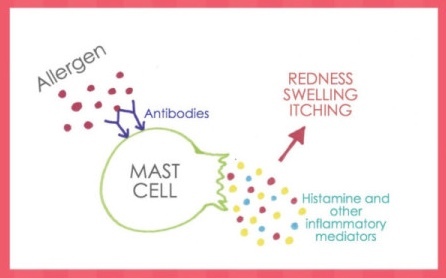 The key is that the mast cells aren’t taken from the individual, which would involve harvesting from tissue and the same kind of time pressure as the BAT. This would be far more intrusive than drawing blood. Instead the lab uses something called LAD2 mast cells (or FcepsilonRI+/CD117+), which can be cultured in large quantities. They are blank slates with the high-affinity receptors ready to receive IgE antibodies. The patient’s plasma, which contains allergen-specific IgE, is drawn and shipped at low temperature to the lab where it is exposed to the cultured mast cells. The IgE binds to the receptors just as they do in the human body, and then exposed to the allergen. If they degranulate, there is an allergy. If they don’t—bingo, tolerance in a test tube. The weaknesses of current blood tests are well known. As Santos et al write, “Peanut-specific IgE (P-sIgE) is associated with false-positive results and overdiagnosis.” And component tests have their problems too. 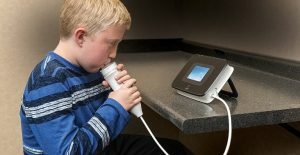 “Measurement of Ara h 2–specific IgE is more accurate but is associated with false-negative results.” Oral food challenges, with their risks of adverse reactions, are the only definitive solution, but as we have written on this website before, many allergists won’t do them for reasons that include money, staff time, and the possibility of having to manage reactions. We have also written, and the Santos team concur, that the recent proliferation of treatments, whether things like various forms of immunotherapy, traditional Chinese medicine, or LAMP vaccine demands that there be new ways of measuring tolerance. It didn’t matter as much when there were no treatments, but now there are. Submitting patients to a continual series of challenges would be impractical and anxiety producing. 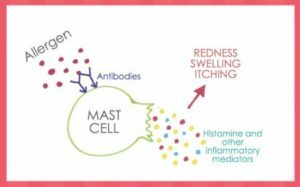 If proven for peanut and for other allergens, the mast cell activation test will be a welcome addition to the allergist tool kit. The theme of genetically modified foods is going to loom larger and larger as the incidence of food allergies increases. With the world’s population increasing, there is pressure to grow crops more efficiently, and the centuries old practice of selective breeding is being superseded. Bacterial enzymes can be used to slice out parts of DNA containing desirable traits of one crop to be inserted into another. This bypasses many natural safeguards built into selective breeding. Inserting parts of DNA containing desirable traits may have undesirable side effects. As the food industry migrates from the greenhouse and breeding shed to the laboratory, the Food and Drug Administration is caught between the economics of food and that of drugs. They have established protocols for testing drug safety and efficacy have stood the test of time, underwritten by high drug costs. This is not the case with foods. Instead, the FDA applies the “biological equivalent” rule. That is, if a genetically modified food is the biological equivalent of the original food then minimum testing is required. The trouble is that a single manipulation in the laboratory can have the effect of millions of years of evolution or dozens of generations of cross breeding. 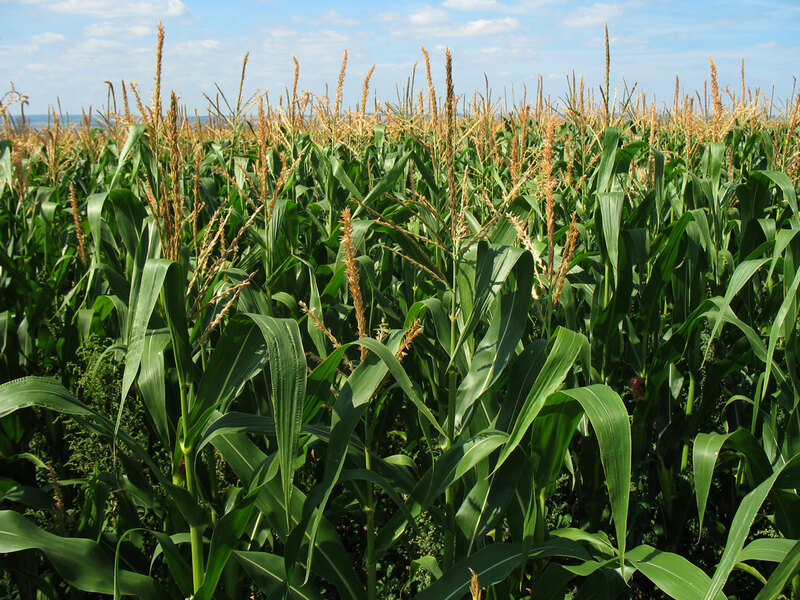 Is corn newly endowed with pest-resistant capabilities a food or a pesticide-delivery system? How can you measure biological equivalency when the rules of biology are being rewritten? Drugs are adopted only after their safety and efficacy are demonstrated in phased, widening trials. A biologically equivalent GM food would have to meet very specific conditions before a negative effect would be noticed. The effect would have to occur soon after eating a food that was known to be GM, a la food allergies. The GM would have to cause new and unusual symptoms within a reasonable time. No one examines a person’s body tissues with a microscope for pre-cancerous tendencies after they eat their lunch. With pharmaceutical testing, some side effects only emerge after the drug reaches the market where it is “tested” by a wider population. If we are going to turn GM foods loose on the mass market without adequate testing, we need a reliable international data base to report any symptoms at very least. There might be some shortcuts. We could, for example, examine newly created foods for the introduction of certain protein components known to be allergenic in some people, such as Ara h 2 from peanuts, although this wouldn’t eliminate the risk because people can be allergic to many different proteins, and new ones might be created through gene splicing. Extensive testing would challenge the economics of the food industry, which are predicated on taking basic foods, refining good stuff out of them, selling it off, then enriching. It’s more profitable today to add vitamins to refined grains sweetened with sugar than it is to sell a balanced diet and it might become more so still if these nutrients can be engineered into the DNA. But come to think of it, if drug-like protocols make food more expensive it might be a good thing for the obesity epidemic. Ultimately, the true test of allergenicity is in feeding the foods to people the way we test drugs in clinical trials. But how do you do it with the low profit margins of food compared to the extended patent protection and monopoly pricing that drugs receive? Then, too, allergies are not the only problem. There have been two known major outbreaks of illness linked to GM foods over the past few decades. In 1989 a Japanese company called Showa Denko wanted to sell a “natural food supplement” that would aid in sleep–L-tryptophan. This is the natural component of warm milk and turkey that makes you sleepy after Thanksgiving dinner–well, that and maybe the wine and beer. They produced L-tryptophan using GM bacteria. It was found to be toxic, killing 37 people and permanently disabling over 1500 others from a disease subsequently named eosinophilia myalgia syndrome (EMS). 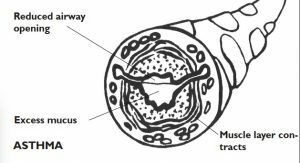 Symptoms included an overproduction of white blood cells called eosinophils, severe myalgia (muscle pain), and in some cases, paralysis. The debate about whether the toxin’s presence in the L-tryptophan was due to genetic engineering or to Showa Denko’s sloppy manufacturing has still not been resolved, although some scientists who have reviewed the case believe the culprit was genetic engineering. In 2000 a number of people reported allergic reactions to maize (corn) products. 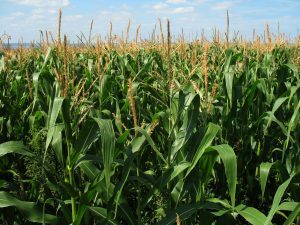 A GM maize called StarLink was found to have contaminated the human food supply, although regulators had allowed it to be grown only for animal feed and industrial use. It had been genetically modified to contain the Bt insecticidal protein. Studies on GM Bt crops raise the possibility that eating them may cause toxic or allergic reactions and/or sensitize people to other food substances. Doesn’t it stand to reason that a protein “engineered” by nature to kill insects might have at least some toxic effects on people when fed to them via a bowl of corn flakes or even a steak? Pre-market testing for allergic reactions to genetically modified foods has little chance of finding all reactions. A soy product was modified to produce proteins from Brazil nuts as a way of increasing its nutritional value, but resulted in more Brazil nut allergies. The benefits of GM food are still touted in high-minded terms, such as raising the nutritional status of the poor of the world, which at this point as far as I’m concerned is just hype; “Golden Rice” is less useful as an answer to vitamin-A deficiency than as public relations for GM foods. A purple tomato has been engineered to contain anti-cancer properties, but people would rather take antioxidants than eat purple tomatoes. Still another worrying wrinkle is the fact that the new crops may pass biology but fail chemistry. That is they are engineered for imperviousness to weed killers like RoundUp, which in turn encourages farmers to use large amounts of herbicidal chemicals that are finding their way into our bodies. After all this, however, the fact remains that for the most part we are daily consuming genetically modified foods without harm. Maybe the promise of feeding a hungry planet will be borne out. I don’t want to throw the baby out with the bath water. A balanced approach is definitely in order. In a market economy informed consumer choice is also part of the equation. It’s only fair that there be some labeling requirements. We require warnings for food-allergens—“may contain” may be (pardon the pun) mealy mouthed, but it’s better than nothing. But with genetic modification, the lobbyists’ attitude is “shoot first—ask questions later.” I would go further than “may contain” and state “genetically modified with nut protein” or “pesticidal proteins added”. Sounds yummy.